Wine ban. Curtailment. Differentials. Bill C-69. New terminology entered Alberta’s collective consciousness in 2018 as energy and politics collided, harkening back to the divisive days of the National Energy Program. Looking back at the top Alberta business stories of the past year, the legalization of cannabis and NAFTA renegotiation frequently dominated the headlines. But it was at the intersection of energy and politics where the biggest stories erupted. Alberta’s inability to get its oil to market caused a number of dominoes to topple over, from a deep price discount and the province curtailing production, to a B.C. wine ban and Ottawa buying the Trans Mountain pipeline — only to see it halted by the courts. 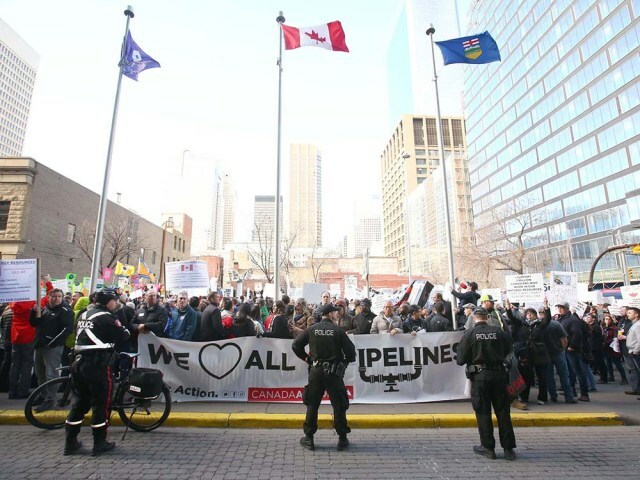 Between growing pro-energy protests in Alberta and deepening pipeline paralysis across Canada, “it’s like the early 1980s all over again,” says political analyst David Taras of Mount Royal University. Here are the top 10 Alberta business stories of 2018. An aerial view of Kinder Morgan’s Trans Mountain terminal in Burnaby, B.C. Many onlookers thought 2018 would finally be the year progress was made on building the embattled Trans Mountain pipeline expansion. Instead, political uncertainty enveloped the $7.4-billion development, which is designed to nearly triple the capacity of an existing pipeline that moves oil from Alberta to Burnaby, B.C. Environmentalists and some First Nations in British Columbia have long opposed the project, but the political ground shifted after B.C. Premier John Horgan moved in early 2018 to derail the development. In February, B.C. 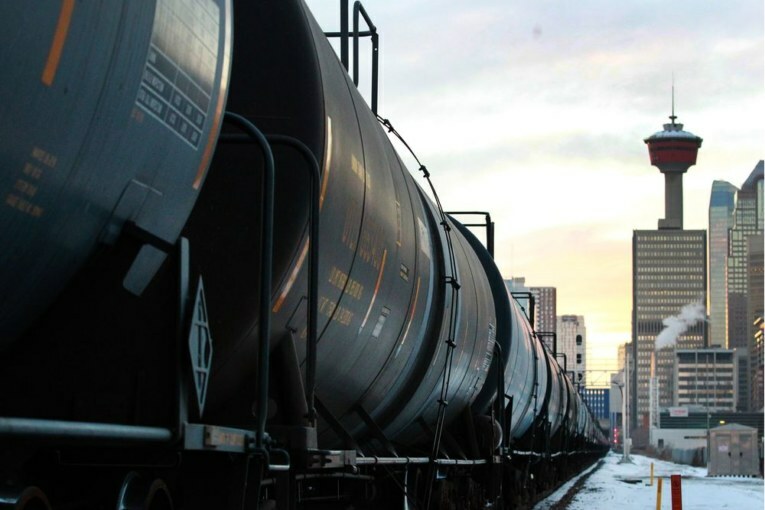 said it would study proposed regulations to restrict the amount of diluted bitumen moving through that province by pipelines and rail — areas of federal jurisdiction. A political brawl was soon on. Premier Rachel Notley retaliated by slapping a ban on B.C. wines temporarily, and later passed legislation to potentially turn off the taps on oil shipments moving west. As tensions mounted, project proponent Kinder Morgan announced April 8 it was suspending all non-essential spending on the development, giving Ottawa until the end of May to resolve the political standoff. With the clock ticking, a last-minute deal was struck; the federal Liberal government agreed to buy the project for $4.5 billion. The project restarted construction this summer — but not for long. In a stunning decision, the Federal Court of Appeal quashed the project’s approval on Aug. 30, the same day Kinder Morgan formally approved the sale. The court ruled the federal government had failed to meaningfully consult with Indigenous communities on the development, and the NEB failed to properly consider the impact of increased tanker tariff on the marine environment. The NEB is now examining marine-related issues and must report back to the federal cabinet by Feb. 22. Ottawa is also redoing consultations with affected First Nations. After a year of twists and turns, Trans Mountain’s future remains as murky today as it was 12 months ago. After nearly a century of criminalization, Canadians could buy marijuana legally on Oct. 17, and the federal decision came with great expectations and long customer lineups. In Alberta, 17 cannabis stores were ready for business on Day 1, with many more waiting in the wings. 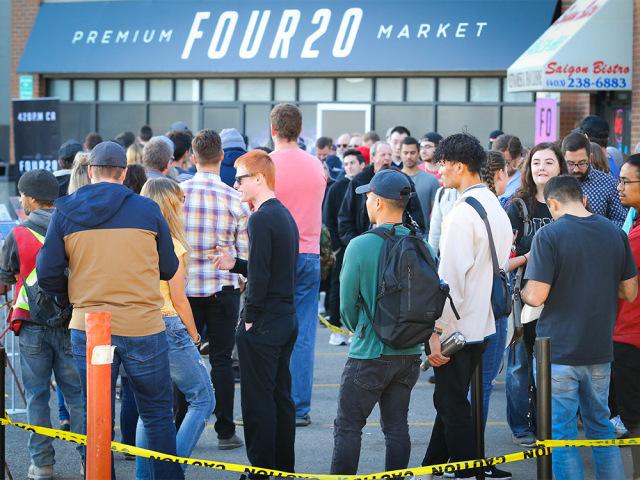 “It’s a very historic moment,” declared Jeff Mooij, president of Four20 Premium Market, one of only two stores in Calgary open for the first day of legalization. Ottawa’s decision moved pot sales out of the alleyway and into the stores, and it took months of planning by the province and Alberta municipalities to come up with oversight rules. The Notley government decided to let private retailers sell cannabis from licensed shops, while the province handles all on-line sales. In Calgary, scraps soon erupted over leasing retail space and getting necessary municipal approval as hopeful participants swamped the process. Once stores opened, sales were brisk, although the situation was soon marred by supply shortages. A month into legalization, Alberta temporarily suspended issuing new licenses because of a lack of product. As the fledgling retail side of the industry evolved, cannabis producers like Edmonton-based Aurora Cannabis continued to expand. For example, Aurora closed the acquisition in July of MedReleaf Corp. in an all-stock deal valued at more than $2.5 billion. “It has yet to be determined what kind of economic impact cannabis will have on Calgary, Alberta and Canada,” says Adam Legge, director of the Haskayne School’s Global Business Futures Initiative at the University of Calgary. Oil prices rebounded nicely through much of 2018, but it didn’t last. After starting the year around US$60 a barrel, prices for benchmark West Texas Intermediate (WTI) crude crested above $75 by early October. Yet, amid concerns of growing global production and rising inventory levels, oil prices plunged to US$46 a barrel by mid-December. For Alberta-based producers, rising oilsands production and full pipelines compounded the problem. The oil-price differential between WTI and Western Canadian Select heavy crude widened in the fall, hitting US$50 a barrel at one point. The province estimated the discount was costing the country up to $80 million a day, and pro-pipeline rallies sprouted up across Alberta. With no short-term relief in sight, some oil companies began to call for a temporary government-imposed production cut to bring supplies — and prices — into balance. Integrated producers opposed the idea, warning curtailment would interfere in a free market and could have unintended consequences. In early December, Notley announced the province would require companies to cut production by 325,000 barrels of oil per day, beginning in January. By Dec. 17, the oil-price differential had narrowed to just US$11.68 a barrel. In a year-end interview, the premier said curtailment was the most difficult energy decision she faced in 2018. 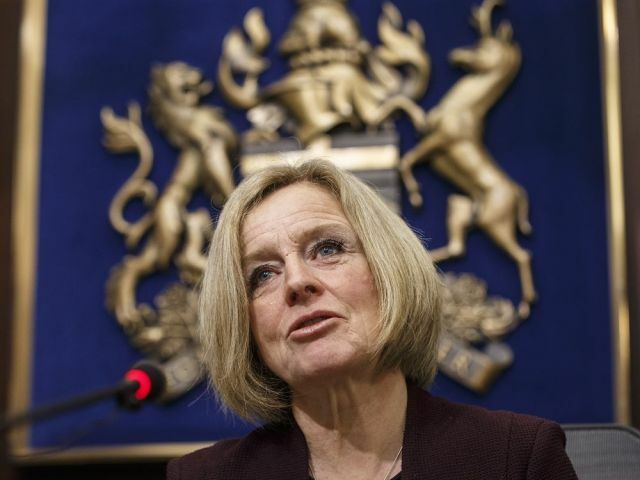 “We just couldn’t continue with that kind of differential in place,” Notley said. Donald Trump and Justin Trudeau prepare to sign the renegotiated NAFTA agreement on Nov. 30. Talk of reworking the North American Free Trade Agreement had percolated since the election of U.S. President Donald Trump. As negotiations dragged on between Mexico, Canada and the United States through the first half of 2018, it seemed the countries were at an impasse. 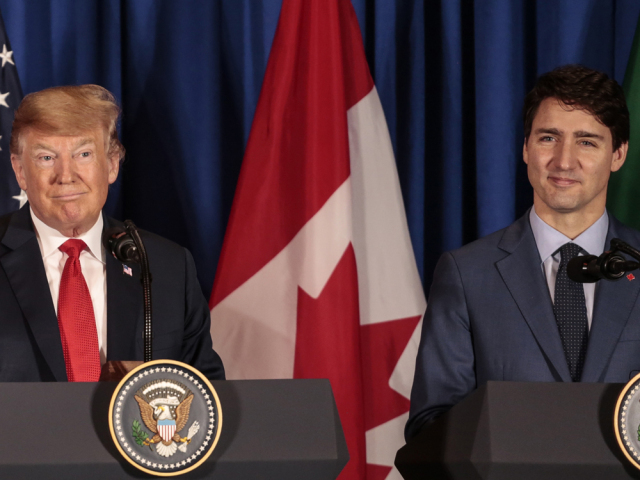 The outlook grew particularly bleak in June after Trump blasted Prime Minister Justin Trudeau following the G7 meetings in Quebec. After a deal was reached on Aug. 27 between the U.S. and Mexico, it looked like Canada might be left on the sidelines. Yet, an accord between Washington and Ottawa was finally struck on Sept. 30, securing the newly named U.S.-Mexico-Canada Trade Agreement. “This was a big cloud over the summer, hanging over Canada,” says Todd Hirsch, ATB Financial’s chief economist. Since the collapse of oil prices four years ago, rents have been falling and vacancy rates rising in Calgary’s downtown. With more than one in four downtown office towers empty, the problem continued to create chaos for the city’s tax base in 2018. In November, a city report said fewer than 150 commercial downtown properties had experienced a stunning $12.6-billion drop in their combined assessed values over just three years. This loss created a $193-million tax gap that had to be picked up by other non-residential property owners. In 2019, the city will use $45 million to limit property tax increases on businesses to 10 per cent, although council also agreed to shift some of the burden — about $8 million — from commercial properties to residential owners. To help fill the downtown and create jobs, the city also began using its new $100 million fund this year to offer incentives and grants to companies willing to expand or relocate to Calgary. 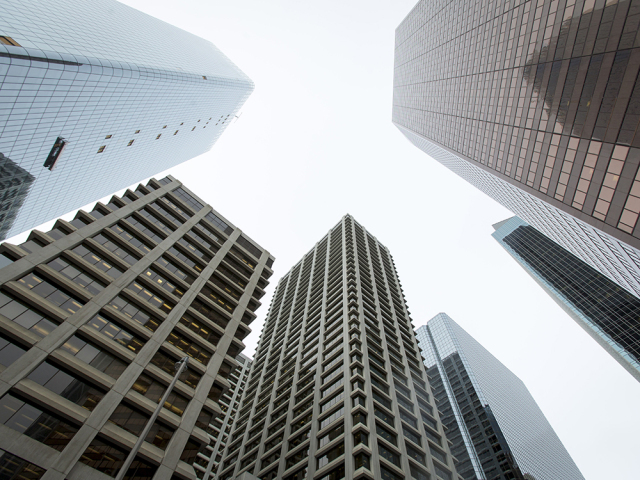 The downtown woes weren’t the only challenges facing Calgary’s real-estate market. With rising interest rates and tough new mortgage lending rules, overall sales in the city fell 14 per cent through November. Ed Sims, president and chief executive officer of WestJet, with one of the airline’s new Boeing 737s. Calgary-based WestJet Airlines navigated through a year of momentous change in 2018, with the biggest shift beginning at the top. In March, veteran CEO Gregg Saretsky retired suddenly and was replaced by executive vice-president Ed Sims. In June, the company’s new ultra-low-cost carrier, Swoop, was launched. Amid the threat of a pilots’ strike, WestJet and the Air Line Pilots Association agreed in May to federal mediation to settle outstanding issues on a first contract. However, uncertainty surrounding the potential disruption hurt bookings heading into the summer. 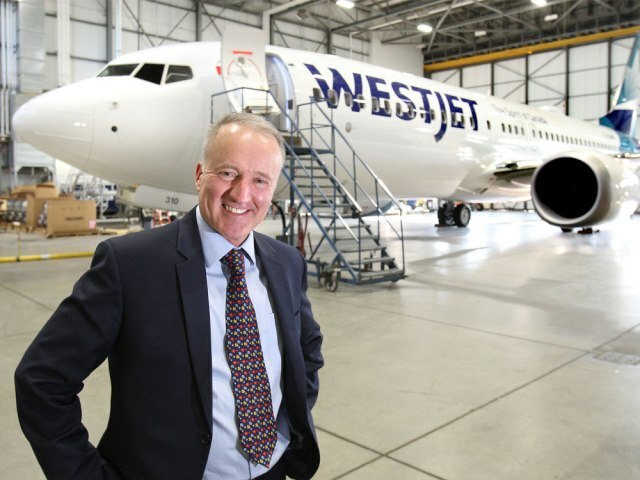 The company’s string of quarterly profits was snapped in the April-to-June period — its first loss since 2005 — before WestJet posted $45.3 million in earnings in the third quarter. By the end of the year, the airline revealed further plans for international expansion, announcing it will operate three new Boeing 787-9 Dreamliner aircraft from Calgary, flying direct to Europe. In a year that saw weak investor interest in the energy sector, two hostile takeover bids were launched in 2018. In August, Ensign Energy Services made a $947-million unsolicited bid to take over Trinidad Drilling. Ensign succeeded in November, beating out a white-knight offer from rival Precision Drilling. One of the biggest deal of the year saw Encana Corp. buy Texas-based Newfield Exploration in a friendly US$7.7-billion transaction. And Canada’s energy sector faced tough slogging in 2018 on the Toronto Stock Exchange. By Dec. 18, the S&P/TSX Capped Energy Index was down 29 per cent for the year. Police monitor a pro-pipeline rally outside the Hyatt Regency Hotel in downtown Calgary on Nov. 22. A political donnybrook erupted in 2018 over the new federal Bill C-69, with the oilpatch and Alberta government on one side, and the Trudeau government on the other. The legislation will change how major energy projects are reviewed in the future. Critics fear it will prevent new pipelines from being built. The bill is now before the Senate. The prime minister was given a taste of the province’s frustration when he visited Calgary in November and an estimated 2,000 people rallied outside, many protesting the new Impact Assessment Act. After months of sending hopeful signals, the long-awaited LNG Canada project, led by Royal Dutch Shell Plc, received the green light in October, giving the country’s energy sector a shot of good news. The $40 billion energy mega-project at Kitimat, B.C., will be the first liquefied natural gas development in the country; industry groups hope it will create new export markets for Western Canadian gas. Minister of Finance Joe Ceci. Despite Alberta losing several legal and trade-related cases over its beer policies, the Notley government dug in to defend its controversial program offering grants to provincial craft beer brewers. A Court of Queen’s Bench judge and an independent trade tribunal ruled in June that Alberta’s beer policies created an unfair trade barrier. 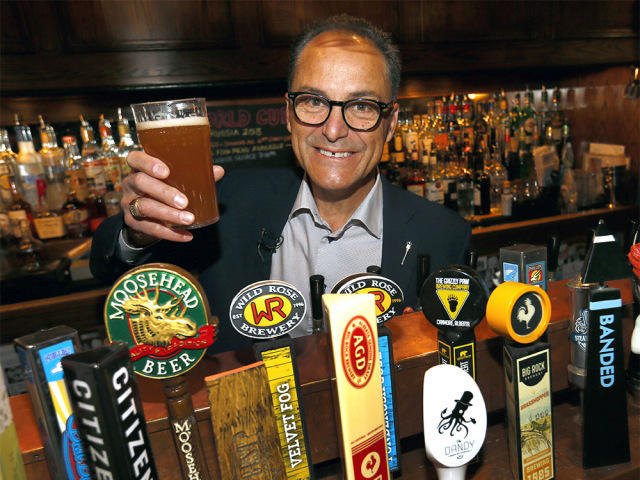 By late November, the NDP government reversed course and changed its plan to help domestic brewers.